Luckily, I didn’t need to rack my brains too hard for something amazing, because I came across something that fits the description just two days ago. On Sunday myself, Mr IT, ArtyDaughter, ConstructoBoy and my Mum celebrated Mother’s Day with a trip to The Shell Grotto in Margate, Kent. It’s been on TV a few times and you may have seen it on George Clarke’s Amazing Spaces programme. It was featured in the 2012 Christmas Special which you can watch here on the Channel 4 website. So why does it qualify as Amazing? Firstly, there’s the sheer scale of the achievement. The Grotto is 104ft long with a rotunda, a dome and a passage leading to a room nicknamed the altar chamber (sadly a WW2 bomb partially destroyed this area). As for the time it must have taken; wow. Every surface apart from the floor is covered with a variety of shells in intricate patterns, and there are a staggering 4.6 million shells remaining in situ, although some have become detached over time or have been stolen by souvenir hunters. The floor, which may have been decorated too and/or made of marble, has been removed at some stage and this has damaged the bottom of the walls. Some sections have also been renovated over the years, though when and to what extent is unknown – which leads us to the second ‘Amazing’ qualification. Nobody knows when, why or how the Grotto was constructed, or who by. Notice I don’t say ‘nobody knows for definite’, because researchers aren’t even anywhere near a definitive answer; the evidence is too scarce. There are a number of hypotheses, but the one that seems most likely is the one that’s probably hardest to prove. The Grotto is Grade 1 listed and has been open to the public since 1838; restorations done before its opening and for many years after were poorly recorded or not noted at all. It was supposedly discovered in 1835, although even that date – and the circumstances of its discovery – aren’t rock solid. Was the Grotto discovered when house foundations were being dug? Was a small boy sent down the hole to investigate? Before 1838 there are no recorded mentions, documents or maps relating to the Grotto. An 1821 map of Margate shows that the area above the Grotto as an open field, but not far from building expansion. Had people have been constructing something on this scale around this time (not to mention importing millions of diverse shells), surely someone would have noticed. It would have taken months, if not years, of work. Was it built by the Knights Templar? Did a local aristocrat order it built? In a field they didn’t own, telling nobody and leaving no documentation behind? Did someone go to such extreme lengths to build it merely as a Victorian tourist attraction – and not bother to generate any publicity about it during construction? And if it had been recently constructed when it was (re)discovered, why did the people responsible not come forward and take the credit for a remarkable achievement? The iconography of the Grotto is also completely incompatible with Victorian follies and continental shell grottoes of the period. After our visit – which filled my head with many more questions than answers! 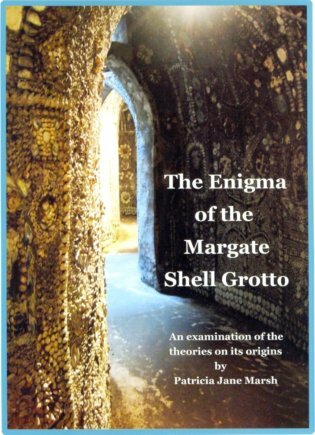 – I picked up a copy of ‘The Enigma of the Margate Shell Grotto’ in the gift shop. Published in 2011 by Martyrs Field Publications, this is the most recent examination of the evidence. Patricia Jane Marsh discusses each of the Grotto construction theories, analysing them against a specific set of criteria. She makes no judgements herself, but her analysis does point to the Phoenicians as the most likely builders. The Phoenician Goddess Tanit may have given the Isle of Thanet its name, and the Phoenician God of the Underworld, Melqart, may have given Margate its name. Patricia is a historian and linguist. Her discussion is enlightening and rigorous but also an accessible, fascinating read and I highly recommend it if you want to find out more. You can buy it directly from the publisher here. I refer to her as Arty Daughter because she is…arty. She is a very talented artist who doesn’t have enough faith in her own ability. Her DeviantArt account is here (on DA she is TheDarkfellProject) and although she has protested that she’s ‘only uploaded one piece of her art to her online gallery and it’s nowhere near her best work’ (exhibit A, below) – I’m still posting the link because she is someone to keep an eye on (particularly if manga and graphic novels are your thing), and also because She Is My Daughter & Very Talented. We often talk about what inspires us, and even though superficially art and writing seem very different mediums, it’s surprising how often we have similar problems, ideas or sources of inspiration. She also deserves a pat on the back for listing me on her DeviantArt profile as her favourite writer 🙂 Cinders, you shall go to the ball. In Louise Doughty’s excellent book A Novel In A Year (which may or may not help you write a novel in a year, but will definitely give you a lot of excellent advice, strategies and inspiration), she often presents her readers/writers with a situation to thrust a character into (even if it’s not one they envisage being in the completed novel), or to write about a time a particular situation happened to them, such as: having an accident, getting lost, feeling trapped (emotionally or physically), being of a different nationality from your own, being a character from the past, and being an inanimate object. Of course, these exercises are designed to generate plots and characters, and she then helps you assemble this generated material into a novel. I found those chapters fascinating and incredibly useful (Big Respec’, Louise). And it’s sparked my own ideas on ways to create a character – or to get to know an existing one better. Walk your character through your day (or even week). Lterally, if you want; think about your character wearing your shoes! Would they? Imagine your character living through your day. Would they be good at your job, more or less patient with your children/ mother/ dog/ boss? Would they have gone for coffee with that friend? Would they walk the children to school or drive? Bus or train to work? Would they remember to send that birthday card as you did, or are they forgetful/ lazy/ inconsiderate? 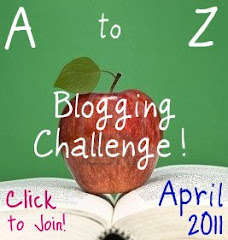 Would they be a blogger or do they not know their Mac from their PC? Or perhaps walk them through days in the lives of people you know. I have a female friend who is a bouncer. This wouldn’t be every woman’s cup of tea, but what kind of woman is prepared to do a job like that? (One who is also a black belt in Karate, if you must know!). Look out your window – is your neighbour off to a club or their work? Would your character be there too? Karate or WI? Or both? And if you have no idea where your neighbour is going, use your imagination – where could they be going, why, and would your character be likely to be there too? Asda or Waitrose? Deskbound or a landscape gardener? Would they have waited patiently in that traffic jam or would road rage have taken over? What might have resulted if they had lost their rag? My uneventful day: Took son to school, spoke to Mum on phone, emptied & refilled the dishwasher, tweeted, revised opening of my novel, researched readability score/reading age of a few novels using MyNovel software, had text conversation with my boss and agreed to increase my hours, drank tea, coffee and a double chocha mocha, ate a chicken and coleslaw sandwich, picked up the post, did some more writing, emptied the bins, went to village shop to buy chicken, bread and fruit juice cartons, collected son from school (delivering two papers from my daughter’s round on the way), spoke to my black-belt friend and another who runs a natural beauty products company, filled in a school form to say yes, son & I would love to go to the Royal Wedding barbecue at school, emailed Techy Husband holiday dates, spoke to Arty daughter when she got in, spoke to Techy husband when he got in, deleted 4 spam comments awaiting moderation on this very blog, read a few other blogs, spent ages converting file type & reformatting text of the work newsletter so I can put it on the work website (which I run), dispatched my family to karate (yes, they go to classes run by black belt friend! ), and then wrote this post. What did your character actually DO today?